Reflect upon the message of THE PASSION OF THE CHRIST with this powerful collection of songs. Some of the biggest names in modern music have united to communicate the impact the movie has had on them personally, including Lauryn Hill, Third Day and MercyMe. 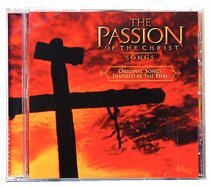 About "The Passion of the Christ Songs"